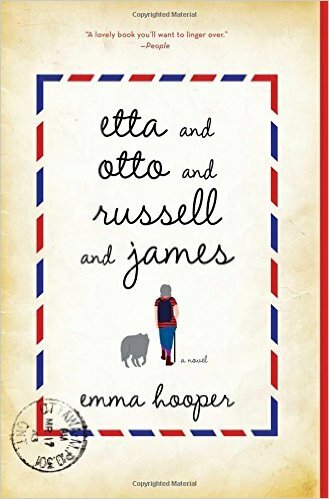 a book chick: "Etta and Otto and Russell and James"
"Etta and Otto and Russell and James"
my take: Etta, Otto, Russell ... their names are linked by doubles letters and their lives are linked by love. As Etta walks across Canada with James, the story of the three friends is progressively revealed. This was so much like The Unlikely Pilgrimage of Harold Fry that I thought about quitting ... and yet it was different enough that I stuck it out - and glad I did. Otto and Russell react differently to Etta's walk - and, ultimately, it was their responses that made the book worthwhile. This is one of those books you can recommend to a wide range of people - kind of sad, kind of funny, kind of feel good. Glad you enjoyed... but even more well worth a read: The Love Song of Miss Queenie Hennessy. Thought it was even better than Harold Fry! This book delighted me. The Canadian geography was familiar and fascinating as it related to the journey. Sadly, only a few of the bookies enjoyed it. Going to the library this afternoon to look for The Love Song.